Welcome to this site for the Worcester Branch. of the W.F.R.A. 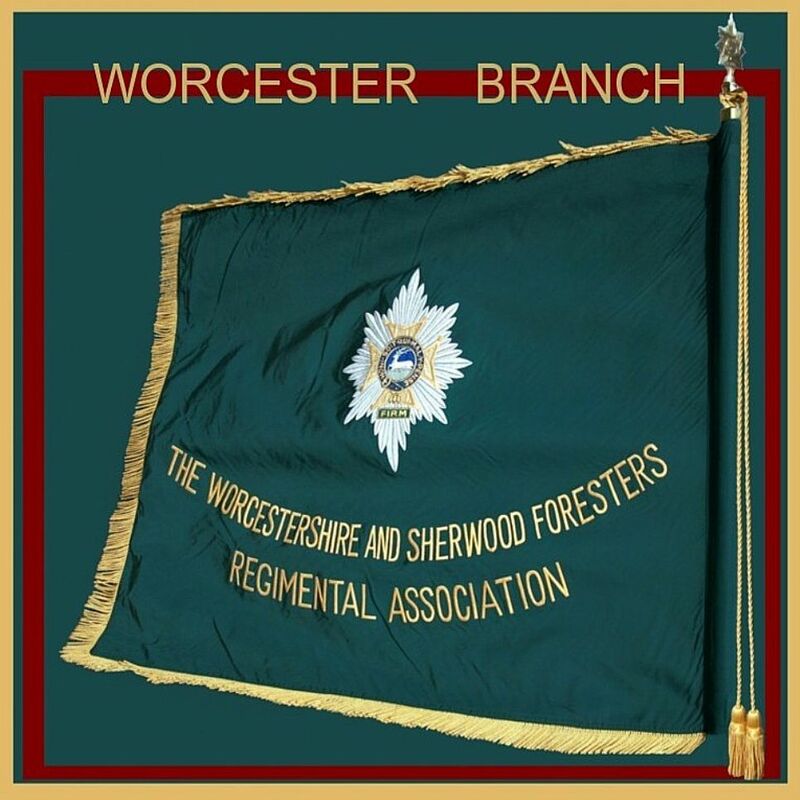 PLEASE NOTE that this site is for the use of Worcester Branch members, members of the Association and friends, who would like to see, photos, news, search for old freinds etc and read announcements from RHQ. This is NOT an RHQ website. If you want to find information on the Regiments other than the `Brief History of Regiments' pages try the Museum links on `links' page. there is a good Worcestershire Regiment site link on that page. Information on personal or old records of postings are not kept for this site, for those requests try RHQ and the Museums. Foresters ), Brigadier Peter Dennis , welcomes you to the Association. The Regiment likes to keep in touch with you :- we can do this only if you let us know how to contact you. If you have an e-mail address this will enable us to let you know quickly and easily what is going on. We hope you keep in touch with The Regiment and remain part of the Regimental family. Ms Cindy Baines - Assistant Regimental Secretary. If you have any enquiries in relation to the Sherwood Foresters, the Worcesters or the Worcestershire and Sherwood foresters Regiment or the Mercian Regiment please make contact. Join your local branch of the Association. Worcester, 23 Ellesdon, Kempsey, Worcester, WR5 3NT. Worksop, 18 Nidderdale Place, Sunnyside Rotherham. S66 3LF. you may remember some of it! subscribe to The Mercian Eagle, please do so now – the journal needs your support.